If there is one set that dude from the Dos Equis commercials belongs in, it would have to be The Adventure Series made by Gum Products back in 1956. This 100-card set literally has everything. 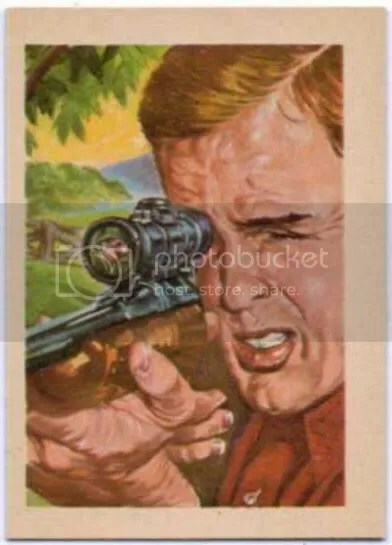 You’ll find cards containing scenes of war, boxers, Olympic athletes, mountain climbers, deep sea divers, fishermen, wildlife, the circus, atomic bombs, firefighters, boats, explorers, race cars, and so much more. Anything goes with this set. Obviously, condition is everything, but the cards that are in the most demand are the ones dealing with sports. Boxers top that list. 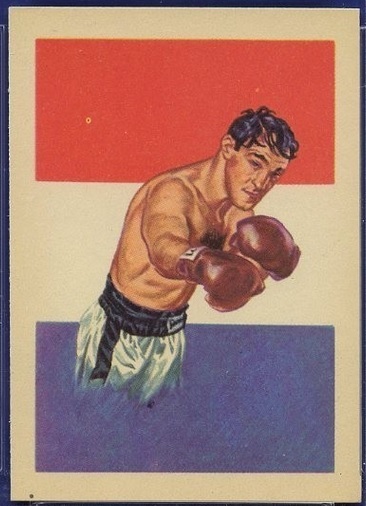 Card #44 is of legend Rocky Marciano, and if its in really nice condition can sell for over $200.00. But the card that gets the most attention, and sells for the highest is #86. This is due to the Nazi symbol that’s on the card. Good examples can sell for hundreds. 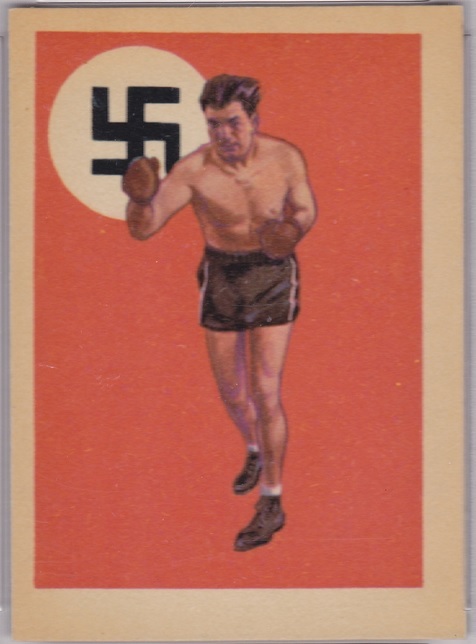 Outside of boxing, another popular card would be #55 like the one pictured above. 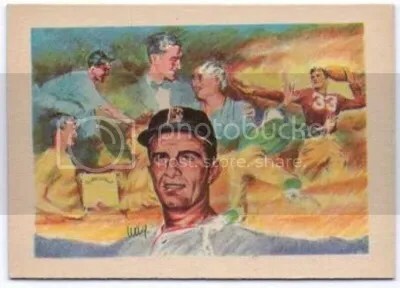 Its of Boston legend Harry Agannis who has very few cards. These can go for $30.00 to $50.00 depending on the condition. The 1956 Adventure Series is a very entertaining set, as it covers so many subject areas. The painted artwork is printed on thick white card stock with a write up on the reverse side describing what is pictured on the front. Packs of cards were quite cheap in 1956, but this was one of the cheapest even at it’s time. Gum Products issued these cards in one cent packs. It doesn’t get any cheaper than that, but you were only getting one card per pack too. 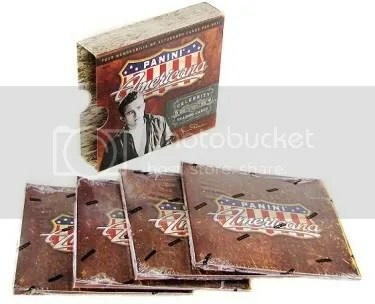 Yesterday, long time collector Scott Schwartz stopped by The View and dropped off a few boxes of Panini Americana. Schwartz is most notably known for playing Flick in the 1983 film A Christmas Story. You may also remember him from The Toy, where he co-starred with Richard Pryor and Jackie Gleason. I love it when trading cards receive any kind of national publicity. Very cool! What products from our previous Topps football lines would you like to see us continue or bring back? I would like to see Topps continue their Triple Threads brand of football cards. Being a high-end box breaker, I really enjoy opening those boxes. If Topps is looking to improve this brand, I would recommend that they try to get more signatures on-card for their high-end brands like Triple Threads. The foil stickers just don’t seem right when a collector spends almost $200.00 for two packs. What new products or ideas would you like to see? I have a few ideas for new products that I would like to see hit the market. One of the most popular baseball sets Topps produces is Allen & Ginter. It has been product of the year a few times now, and collectors seem to go nuts over it. I think Topps should make a football version of A&G. For the past two years they have made Mayo, but I don’t think it lives up to the hype of A&G. I still would like to know what happened to the Joe Paterno certified autograph that was suppose to be included in 2008 Mayo. 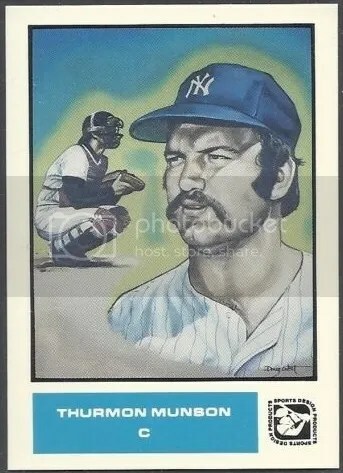 On the high-end side of the spectrum, I’d like to see Topps make a football version of Topps Tribute. I’m talking about designing Tribute cards like the baseball sets from 2002 through 2004. They looked totally awesome! I love how Tribute products from that time look and seeing some of football’s legends on that type of cardboard would be great. Which 2010 NFL Rookies would you like to see us sign to autograph deals? 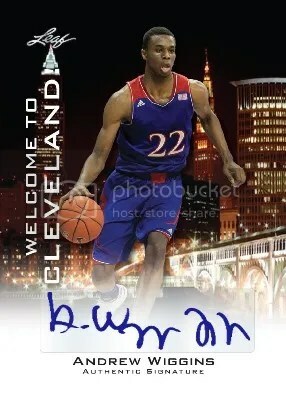 It sure is fun to pull an autograph of a top draft pick. Last year I was lucky enough to pull and autograph of both Mark Sanchez and Matthew Stafford. I’m not that big into prospecting, but one player that doesn’t have a certified autograph yet would be Jared Odrick. He was drafted in the first round of the 2010 NFL Draft by the Miami Dolphins and was a Defensive End for Penn State. Like myself, he is from Central Pennsylvania and its always fun to see someone from an area that you lived in make it to the pros. Regarding our products calendar, which releases would you like to see early in the season, late, etc? I don’t have a huge problem with the order products are released in. I believe that starting with set-building products and slowly working your way up towards the higher-end stuff is a great way to keep collectors on the edge of their seats. I wish companies could get all their current year products out within the realm on that same year. For example, it doesn’t seem right for a 2009 product to be released in 2010. I know manufacturers are under deadlines and if products are rushed they may not turn out so well, but I wish this is something they could fix. Are there any NFL-related themes, anniversaries, celebrations, etc. you’d like to see featured in our 2010 products? I would like to see the 1972 – 1973 Perfect Season Miami Dolphins have some card set celebrating that monumental accomplishment. I’m not saying create an entire product around it, but include something in one of the other popular Topps products. Try and track down some of the players from that team that don’t have any relics and/or autographs. Players such as Nick Buoniconti, Howard Twilley, and Bob Kuechenberg have yet to have any modern cards made. I think you’ed be surprised to find out how popular those cards would be. Another area I’d like to see Topps explore is the individuals who helped shape the game of football. I’d like to see more cards of Amos Alonzo Stagg, Edward Cochems, and “Pop” Warner. TRISTAR did a great job with their Obak set and honoring some of the people that helped start baseball.